My journey into the world of Complementary Therapies began in 2004 when, after a year of personal emotional difficulties, I was persuaded by a friend to take a short course at Grantham College which included introduction to a variety of therapies. I completed a Diploma in Anatomy and Physiology then studied and qualified in many therapies. Following studies and exams, both theory and practical, with the Dr Vodder School of MLD, I can offer Manual Lymphatic Drainage (MLD), enabling clients to obtain relief from swollen limbs, bloating and water retention. Advanced studies and exams mean I am also qualified to treat both Primary and Secondary Lymphoedema, including the use of compression bandaging. I have also worked in the Lymphoedema Clinic at the world renowned St George's Hospital, London. As well as offering a mobile service I have access to treatment rooms within Sleaford and Newark town centres, should clients prefer their treatments away from the home environment. Due to demand for my therapies, I now offer a wider range of appointment times, including daytime. During 2017, I undertook further training for Fluoroscopy Guided MLD (FG-MLD) with the Lymphoedema Training Academy, and then qualified to offer this latest technique. Fluoroscopy mapping allows the superficial lymphatics to be visualised, including functional lymph vessels, dermal rerouting and dermal backflow, along with substitution pathways, allowing therapists the knowledge of best drainage pathways. These are not always the ones used historically, and the mapping may show individual ‘unusual’ routes. Mapping is not essential to benefit from the FG-MLD techniques, as therapists learn how to ‘read’ the body and identify fill spots. I have recently been accepted as a registered MLD therapist with BUPA. 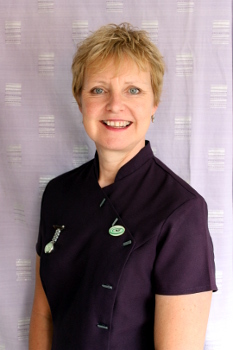 I am a member of the Complementary Therapists Association, MLDUK, British Lymphology Society (BLS) and LipoedemaUK and am insured for treatment, including bandaging and use of Hivamat.